Phsar Chas, which roughly translated means the ‘Old Market’, is located 650 metres walking distance to the south east of Wat Phnom in Phnom Penh. Unlike nearby Central Market, Phnom Penh’s Old Market is a mainly outdoor market which caters for Cambodian shoppers looking for cheap buys. The Old Market Phnom Penh does not have strictly defined opening and closing hours. The majority of the stalls vending meat and vegetables tend to open early at around 06:00 and close at around 16:00. Other stalls selling household items and jewellery open a little later and close at around 18:00. The cooked food vendors open early and close late, sometimes as late as 20:00. When the Old Market shuts down the Night Market across the road opens up. 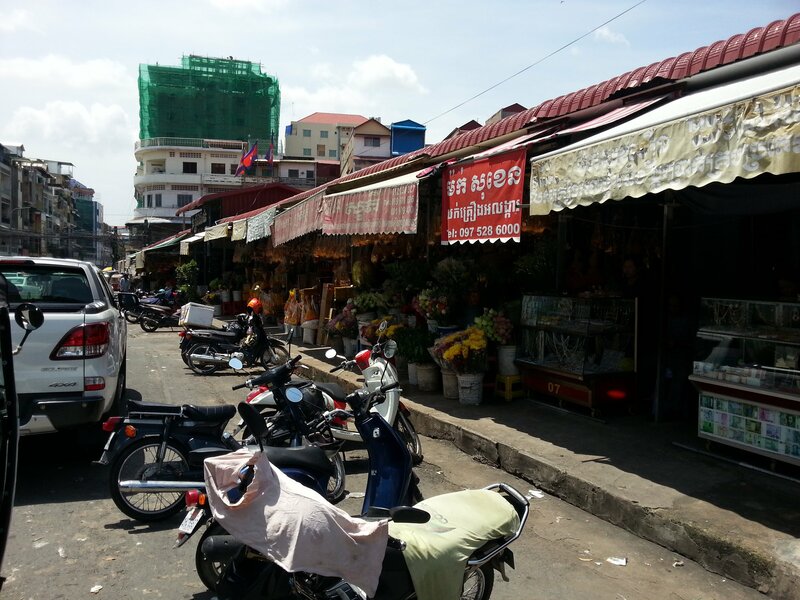 The Old Market in Phnom Penh occupies a city block, bounded on all sides by roads. 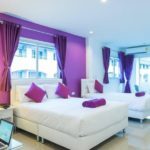 It has a strategic location at the northern edge of the busiest part of town and near to the river. In times past before trucks, cars and motorbikes became common in Cambodia the produce sold in the market would have mainly been transported by river from the farms outside the city. 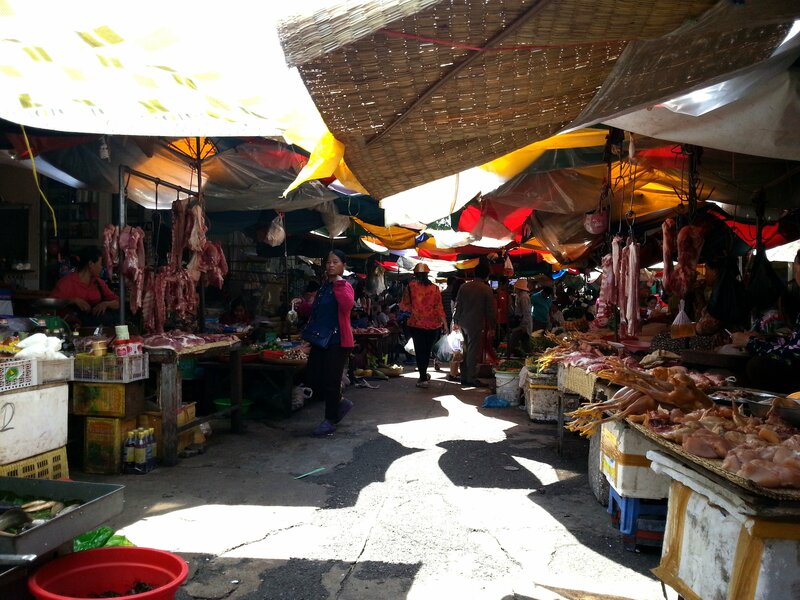 The Old Market is mostly a cluster of stalls with makeshift roofs to protect shoppers from the intense sunshine. 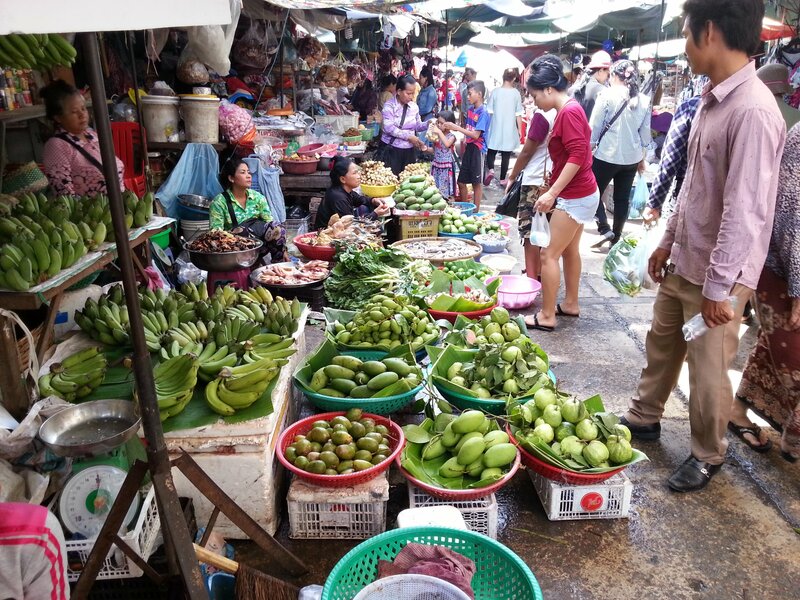 It’s still hot and pungent in this market and visitors from more temperate climates may find the market oppressive particularly when it is very busy with shoppers. This is a lively place full of colours, sounds and smells, some of which are unpleasant. The part of the market you may want to stay of clear is the section where the fresh meat, chicken and fish is sold. My midday the area has an intense smell of rotting, or nearly rotting, meat. Local shopper seem unperturbed by the smell and are content to buy their food here, mostly likely because its relatively cheap. This is part of daily life for the majority of people in Phnom Penh. The southern section of the market is housed under a proper roof. 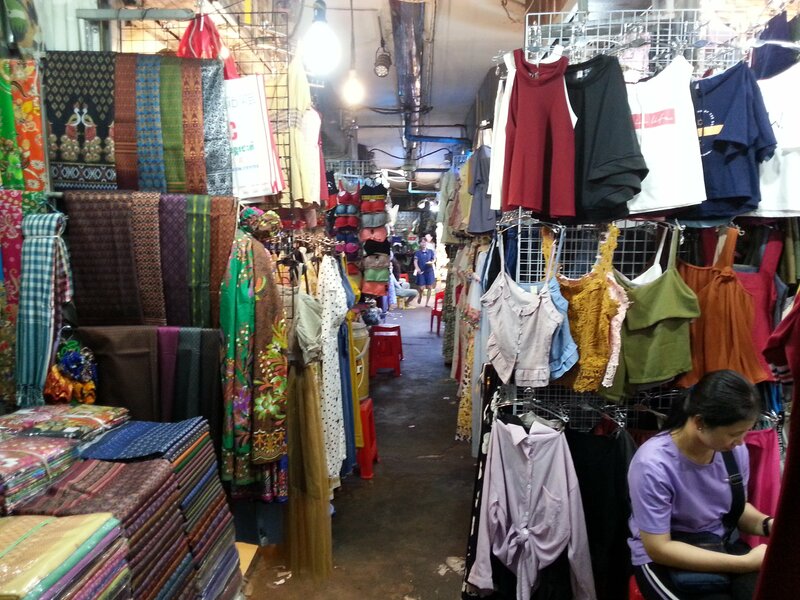 This area has lots of different types of stalls, many of which sell new and second hand clothes. This is the cheapest place to shop for clothes in Phnom Penh, but only if you are a local. 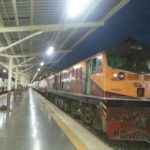 Foreigners will be charged more. There is no strict zoning of types of products on sale in the market. Curiosities, like the unusually shaped crabs pictured above, can be found in random locations. Some of the vendors do not appear to have official pitches but simply set up in available spaces and try to sell whatever products they have grown, caught, made or perhaps on occasion stolen. 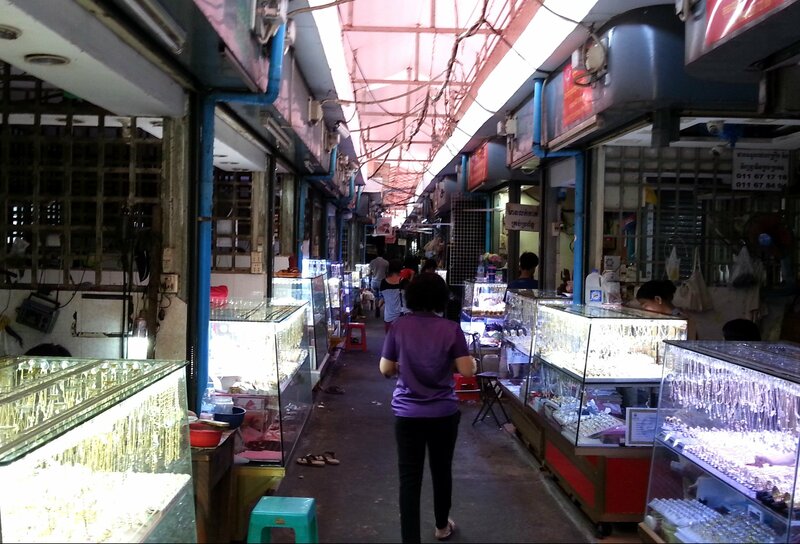 The Old Market has a large section which is devoted to the sale of gold and silver jewellery. This market appears to be the place where the locals go to buy gold and silver, both of which play an important part in Khmer culture as they are given as gifts on important occasions such as wedding gifts and when children are born. The side of market adjacent to Street 13 is very busy. This is where the food vendors operate. 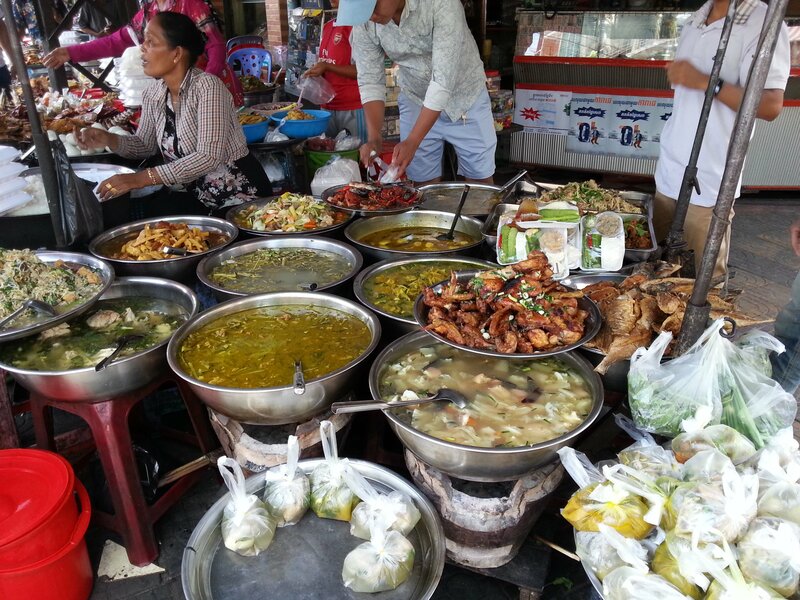 If you have an interest in Cambodian street food then this is where you should come. 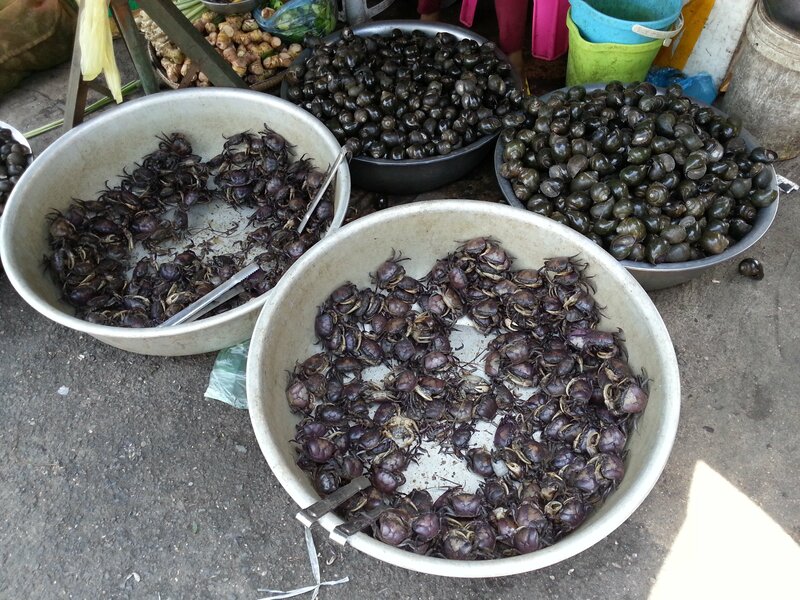 Every conceivable type of Khmer dish is sold here. There are some stalls which have seating for diners. We recommend being a little bit cautious when eating food here. Some of the food is unhygienic and people on occasion get food poisoning. If you stick to food which has recently been cooked at a high temperature, and things you can peel before consuming, you are less likely to get sick. The pre-cooked food in bags may or may not make you ill. Street food in neighbouring Thailand is almost always safe to eat, not so in Cambodia. Phnom Penh Old Market is located 1.2 km walking distance from Phnom Penh Railway Station.